Truck Driving Job in Indianapolis, IN at K&B Transportation, Inc.
Now Hiring CDL A Drivers In The Indianapolis, IN Area! $1250 Per Week Minimum! We Guarantee Our Drivers 2500 Miles Per Week! GUARANTEED PAY! K&B Transportation guarantees our drivers $1,250 per week minimum! 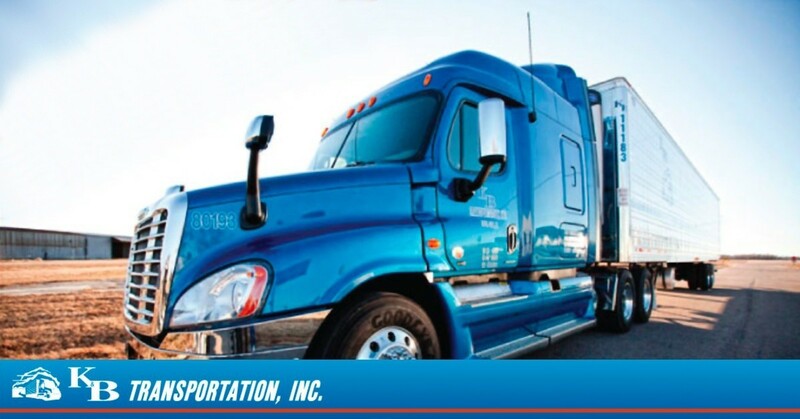 K&B Transportation strives to lead the industry in truck driver pay. Work for a company where your pay never goes stale! We are fresh off a recent 5 cent per mile fleetwide raise and truly put in the extra effort to make sure our drivers earn more year after year! The fact is if started at K&B Transportation ten years ago today, YOU WOULD BE EARNING 20 CPM MORE THAN THE DAY YOU SIGNED ON! That’s over $500 weekly! K&B Transportation’s commitment to earnings does not stop with our mileage pay! The fact is we guarantee our drivers 2500 miles per week! It’s very simple, if we can’t get you 2500 miles in a week, we pay you the difference! This guarantees our drivers $1250 per week minimum. That’s right, or guarantee is just a minimum pay! Our drivers typically out earn it but enjoy the comfort of a guarantee during the occasional bad week! Our compensation package doesn’t stop there, we also offer full accessory pay, paid vacation and very lucrative and achievable bonuses including a $1000 annually in safety bonuses. When you add it all together, there is no reason you can’t earn $65,000 plus yearly during your first year at K&B Transportation, and with scheduled raises your pay never gets stale, your wages will increase every year you work at K&B Transportation! Top drivers can earn $70,000 plus yearly! Drivers at K&B Transportation drivers enjoy the choice of Midwest or National lanes, the truth is we put the same effort in getting our drivers home on time as we do in delivering freight on time. Simply put, we get our drivers home on the day they specify over 99% of the time! No other carrier puts the effort into getting drivers home on time that we do! We also offer tractors spec’d for driver comfort and we give them the tools they demand to make their job easier (E-Logs, Pre Pass Plus).